For the last twenty years, DolphinWorks has been a leader in outdoor natural history experiences. Our popular “Eco-Discovery” programs are utilized throughout California by companies and corporations from around the world. DolphinWorks recently joined forces with The Power of Plants to deliver even more diverse programming for our clients. Our client list is impressive, and we are always thinking up new adventures for our guests. Our philosophy is one of “Edu-tainment”—combining education with entertainment. Our expert naturalists are not only vibrant, very knowledgeable and wonderful at interpretation, but we understand that our job is to keep people entertained in an engaging experience. 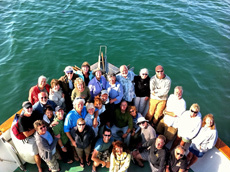 Our programs range from one- to three-hour events, both on land and on the sea. All of our themes are compelling and upbeat and are designed for flexibility to allow interaction between the guests’ interests and the event. 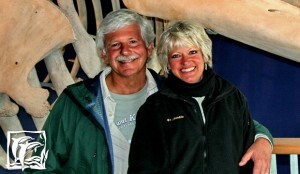 Doug & Robin in front of a Grey Whale exhibit. DolphinWorks and The Power of Plants were co-founded by Doug Thompson and Robin Kobaly, a husband and wife team with successful histories in their respective fields. 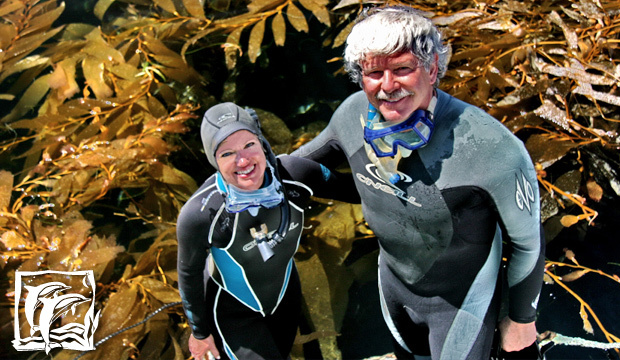 Doug is an accomplished marine biologist, expedition leader, lecturer, and author. Robin is a professional botanist, wildlife biologist, lecturer, and author with over twenty years of experience as an interpretive specialist, designing and presenting acclaimed events and programs for adults and children. Both Doug and Robin have lectured extensively throughout the western United States. 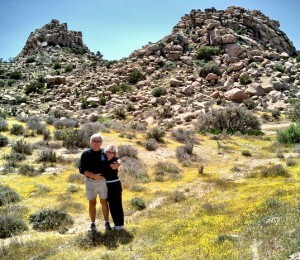 Doug and Robin have been able to combine their professional experiences to develop the innovative and ever-popular “Eco-Discovery” events for corporate clientele. We are uniquely designed for the destination management industry and their clients. We have a long history of very successful events with top-end clientele. Our “Edu-tainment” programs are always kept on a positive note. Our goal is to present to your clients the beauty and mystery of our planet and all the wonders that so intrigue all people. We always arrive at our venues early to insure the event runs smoothly. We are always open to new ideas, new venues, and innovative ways to serve your clients.